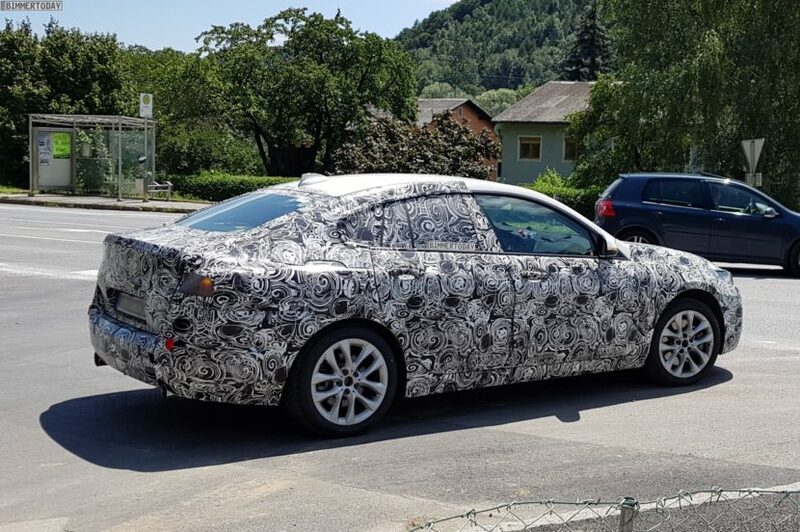 We’ve known about the existence of the BMW 2 Series Gran Coupe for awhile now. Oddly enough, it’s not going to be based on the same rear-drive chassis as either the current or next-gen 2 Series Coupe. Instead, it’s going to be based on BMW’s newest upcoming front-wheel drive architecture and compete with cars like the Mercedes-Benz CLA-Class and Audi A3. But what is it going to look like? In this new render from Motor1, the 2 Series Gran Coupe gets a very baby-8-Series-Gran-Coupe looking. It definitely has the face of an 8 Series, with its widened Kidney Grilles and angular headlights. It also gets similar body lines and styling to more modern BMWs, like the X5, 8 Series and 3 Series. Though, its proportions are just stubby enough to suggest its front-wheel drive nature. It’s just a render but it seems to be designed to look front-drive, as it will be. It does look good, though, at least to these eyes. While it’s obviously not as pretty as something like the 8 Series Gran Coupe, it’s a fun looking little car. Obviously, it’s likely not going to look like this when it hits production. This is just a render. But it does make a good case for trickling the 8 Series’ design language down to lesser BMWs, as it makes for good looking cars. However it looks, the new BMW 2 Series Gran Coupe will have to be very good to compete in the segment it’s in. Its competition from Mercedes and Audi is very good, especially the former’s new CLA-Class, which is very impressive for a small, inexpensive car. Also, customers are expecting more than ever from that segment, in terms of technology, style and comfort. So the 2er is going to really have to step up its game if it wants to hang with its German rivals.